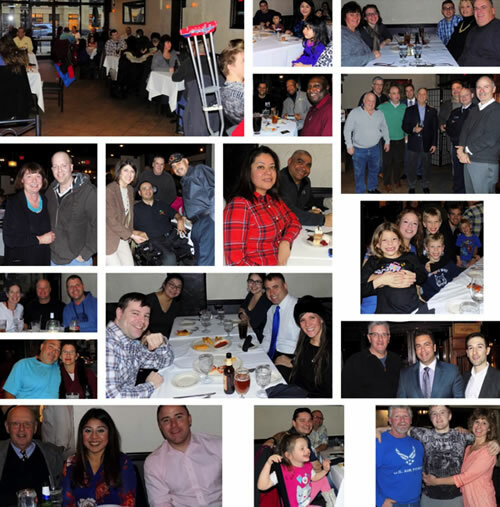 Lido Civic Club of Washington DC and Metro Bethesda Rotary co-hosted Aleethia’s “Friday Night Dinner” at Tesoro Restaurant on March 4, 2016. Over 76 wounded/injured/ill service members, their families and guests enjoyed a delizioso four-course dinner including an awesome dessert prepared by Chef Ignazio Bonanni. Luca Goretti, Italian Defence Attachè stopped by to greet each of the service members attending the dinner. We welcomed back Robert Jepsen who attended the “Friday Night Dinners” in 2004 while he was recovering at Walter Reed. Our special guest, former Rep. James Longley of Maine and a Marine veteran joined the group for dinner. 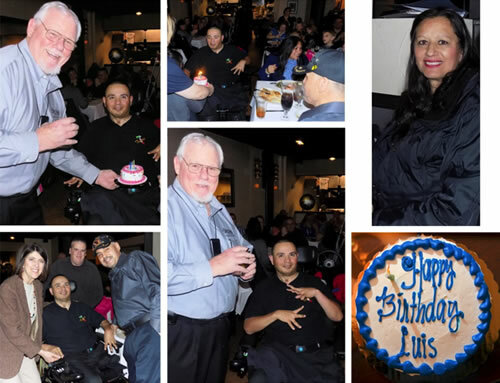 It’s Friday … We celebrated a birthday! The warmth of friendship was felt throughout the room and Aleethia wishes to extend a special thank you to the Lido Civic Club of DC, the metro Bethesda Rotary members and the staff of Tesoro for making this a wonderful and fun evening for all.